On Feb. 24, 1966, a coup was carried out against Dr. Kwame Nkrumah, leader of Ghana’s independence movement and the chief architect of the 20th-century African revolutionary struggle. He founded the Convention People’s Party in 1949, which led the former British colony of the Gold Coast to national independence in 1957. 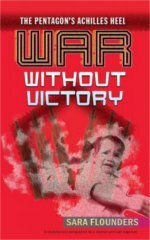 During the coup, he was on a peace mission aimed at ending U.S. intervention in Vietnam. The president had stopped in Beijing to consult People’s Republic of China Premier Chou En-lai and had planned to go to Hanoi. When Nkrumah met with Chou, he informed him of the military coup in Ghana. Chou’s initial reaction was disbelief, yet the Chinese leader told him these setbacks occurred during the course of the revolutionary struggle. Lower-ranking military and police officers carried out the coup with CIA and U.S. State Department assistance and coordination. CPP leading members were killed, arrested and driven into exile while the party press and national radio and television stations were seized. The CIA and military-police clique that seized power encouraged counterrevolutionary mobs to attack CPP offices. Books by Nkrumah and other socialist leaders were burned. Coup leaders, who called themselves the “National Liberation Council” (NLC), deported cadre from national liberation movements who had taken refuge in Ghana and were receiving political and military training there. Other fraternal allies of the Ghanaian and African revolutions were fired from their jobs in the government, the educational sector and media affairs. CIA involvement was widely believed to be pivotal at the time, but later on, it was documented with the declassification of State Department files under President Lyndon Johnson’s administration. U.S. Undersecretary of State for African Affairs G. Mennen Williams had sent a letter of protest to Ghana’s embassy in Washington in late 1965 after the publication of Nkrumah’s book “Neo-colonialism: The Last Stage of Imperialism.” It outlined Washington and Wall Street’s central role in the continuing underdevelopment of Africa. 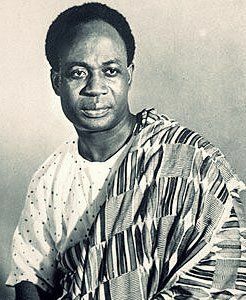 Nkrumah was born in Nkroful in Ghana’s Nzima region in 1909. He traveled to the U.S. in 1935 to pursue higher education at Lincoln University in Pennsylvania, the first Historically Black College and University in the country founded during slavery in 1854. Lincoln was an ideal atmosphere for Nkrumah, who studied the social sciences, philosophy and theology. He became involved in the African- American struggle through work with the African Students Association, where he served as president for several years, and the Council on African Affairs with Dr. W.E.B. Du Bois, Dr. William A. Hunton and Paul Robeson. During his college days, Nkrumah worked doing odd jobs and experienced poverty. He became a licensed Presbyterian minister, which enabled him to speak in African-American churches. After leaving the U.S. in 1945, Nkrumah settled in Britain for two years where he helped organize the historic Fifth Pan-African Congress at Manchester that year. Du Bois chaired the gathering, in which other African liberation movement leaders participated, including George Padmore of Trinidad, who had worked with the Communist International during the late 1920s and early 1930s; Amy Ashwood Garvey, spouse of Marcus Garvey, who held left-leaning politics; Jomo Kenyatta of Kenya; students; and representatives of trade unions and farmers’ organizations. After Nkrumah returned to Ghana in late 1947 and founded the CPP in 1949, he landed in prison twice for organizing against British imperialism. Due to his party’s mass support during a colonialist-controlled reform election in February 1951, Nkrumah was released from prison and appointed Leader of Government Business as part of a transitional arrangement toward independence won in March 1957. During the independence period, Ghana became a haven for African- American political figures, artists, professionals and business people. Some of them became staunch defenders of Nkrumah’s government, which faced increasing CIA and State Department pressure after 1961. Hundreds of African Americans took up residence in Ghana, including Maya Angelou, the writer, dancer and supporter of African liberation movements; Alice Windom of St. Louis, a social worker and educator who helped organize Malcolm X’s itinerary when he travelled to Ghana in May 1964; and Vicki Holmes Garvin, a labor activist and Communist Party member who worked with Robert Williams and Mabel Williams in China after leaving Ghana. Julius Mayfield, the novelist and essayist who left the U.S. amid the attacks on Robert Williams, worked in Ghana as a journalist and editor of African Review, a Pan-Africanist journal supporting the CPP government. W.E.B. Du Bois was given Ghanaian citizenship and appointed director of the Encyclopedia Africana. Shirley Graham Du Bois, spouse of Du Bois, was a political organizer, Communist Party member, prolific writer and producer. Nkrumah appointed her to head Ghana National Television. After the coup in February 1966, most progressive African Americans were forced to leave Ghana due to the NLC’s’ pro-imperialist character. Dr. Du Bois had died in August 1963. However, Shirley Graham Du Bois, who worked as a leading figure in Ghana’s government, was placed under house arrest by military police officials. She left Ghana and later lived in Egypt and China where she died in 1976. The anti-imperialist struggle against interventions in Africa is just as relevant today as it was in 1966. Five decades after the coup ousted Nkrumah, the CIA and State Department are still heavily engaged in destabilizing African states and progressive movements. The U.S. Africa Command (AFRICOM) is constructing airstrips, drone stations and military bases in various regions across the continent. U.S. imperialism designed Nkrumah’s overthrow to halt the African Revolution’s advance and the internationalization of the struggle of African Americans. However, global solidarity efforts accelerated from the late 1960s through the 1990s when the last vestiges of white-minority rule were eliminated in South Africa and Namibia. It’s important to note that African-American political organizations played a key role in influencing Nkrumah from the 1930s until his ouster in 1966 and up until his death in 1972 in Romania. Younger generations of African-American activists can gain much from studying the intersection of the struggle for liberation in the U.S., the Caribbean, Latin America, Europe and the African continent. During the period after World War II through the beginning of the 21st century, tremendous gains were won in the areas of national liberation, Pan-African unity and a socialist perspective. With a strong emphasis in the U.S. today on demonstrations against police and vigilante use of lethal force against African Americans, identification with broader struggles taking place in the African world are often overlooked. This development, if gone unchecked, will break off the African-American movement from allies among like-minded forces within the entire African world. In addition, without an emphasis on internationalism, the African-American struggle will be hard-pressed to reach its full potential by winning global allies.